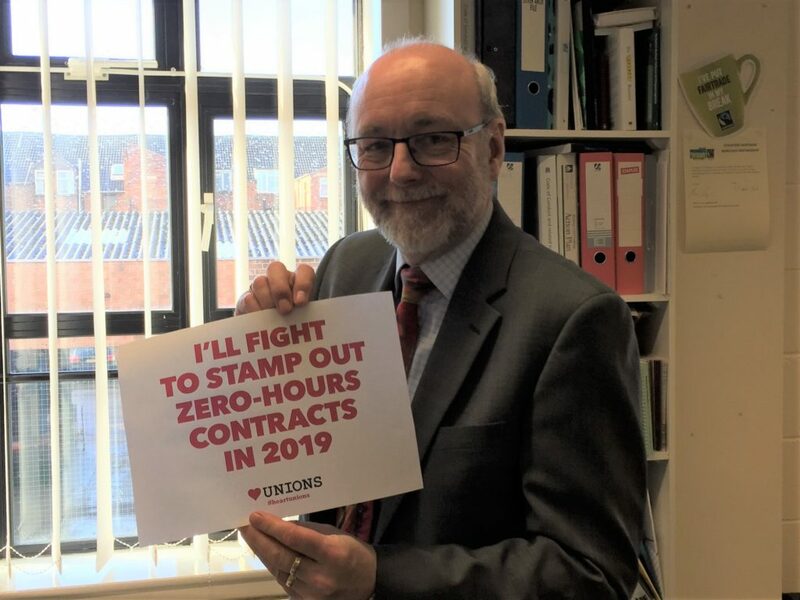 Alex is pledging to stamp out zero hours contracts as part of HeartUnions week. The annual campaign, designed to build and grow the trade union movement and promote the benefits of trade union membership, has made ending zero hour contracts the subject of its 2019 campaign. Current Labour Party policy is to ban these contracts, and guarantee workers a set amount of hours a week. “Over the years Trade Unions have played a huge role in winning key rights for workers, and the recent successes of the movement include winning better pay for McDonald’s employees, and securing the right for Hermes workers to paid holidays. These successes prove that we are stronger when united, and I’d encourage everyone to join a union.